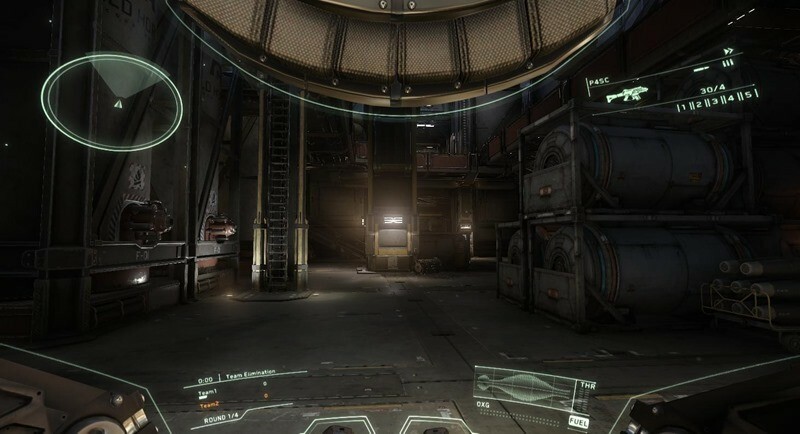 Judge me all you like, but I’m still not entirely sold on Star Citizen. The insanely successful crowd-funding project is still far off from actual release, and the inclusion of new modes such as First-Person shooting just makes it all seem a little unfocused at times. It is, however, interesting to see just how different this component in particular is going to be from the rest of the market. Star Citizen prides itself on realistic space simulation, but the last bit doesn’t end once you’ve docked in a station. The FPS module for the game is every bit a simulation as flying, forcing you to juggle Stamina as a precious resource. Just like other shooters, stamina will govern how accurate you are with your weapon of choice, but it has a far more delicate balance in Star Citizen. That’s…pretty complex for a first-person shooter. Or at least more than most of the ones I’ve played. Rather than just running and gunning it, you’ll have to treasure your fitness just like a real-world situation, on top of shifting gravity and varying weaponry. It adds another important layer onto the mode, which jettisons it into the realm of simulation. It’s not just breathing you’ll have to worry about too. Stance is just as important, with three variables to pick from. Lowered Stance doesn’t allow you to shoot, but you’ll have a faster movement speed and greater flexibility when it comes to jumps and grabs. The Ready Stance is your traditional, on the shoulder view, with limited aim but the ability to fire off rounds. 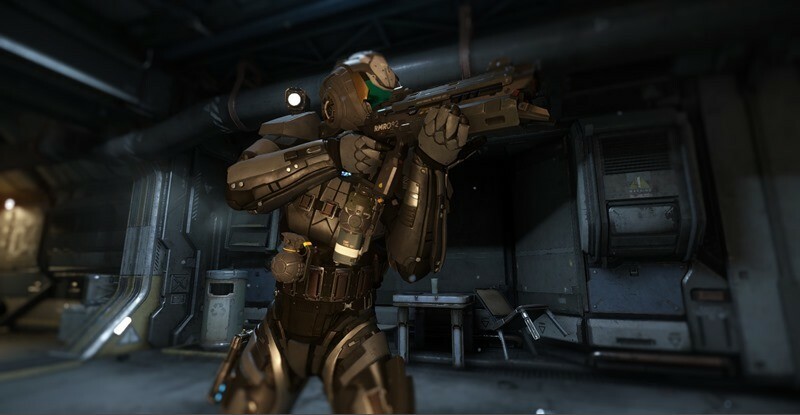 Lastly is Aim Down the Sights, or ADS, which is what you’ll be using to pop most space helmets off your foes. It takes time to transition between all three of these – giving you even more to think about. It’s small tweaks to existing mechanics, but it already makes the FPS Module for Star Citizen sound a lot more complex than your run of the mill shooter. That, and it immediately sets it apart from the idea of a cheap, shoe-horned in feature – which is exactly what naysayers like me were thinking it would be.